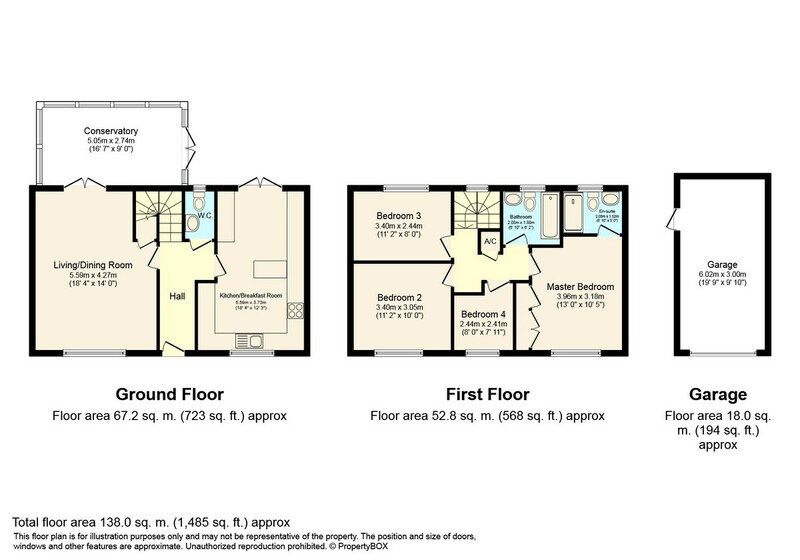 LOCATION Wickhurst Green is a popular development within 2 miles of Horsham town centre. Tesco Extra is within walking distance from the property (approximately 8 minutes walk) as well as a recently opened Leisure Centre, The Bridge. There are some beautiful walks and cycle rides in the immediate countryside, while further afield, the stunning South Downs and coast are within easy reach. PROPERTY The front door opens into a generous Hall, offering the perfect space to remove your shoes before entering the property. From here stairs take you to the First Floor and doors open to the Kitchen Breakfast Room, Living/Dining Room and WC. The double aspect Kitchen Breakfast Room, which is fitted with a breakfast bar, has been improved by the current owners, since they purchased the property in 2014, offers a range of integrated appliances, including a 5 ring gas hob and has double doors opening into the Rear Garden. The 18’4 x 14’0 Living/Dining Room is also double aspect and offer plenty of space to relax at the end of a long day. This leads through to the recently added Conservatory, which gives this already spacious property added flexibility and also has double doors spilling out to the Rear Garden. To the First Floor you will find a stylish Family Bathroom and four generous Bedrooms with the Master Bedroom boasting built in Wardrobes and an En Suite with a double shower cubicle. OUTSIDE This modern family home, is situated on a corner plot. It has well kept and much loved borders either side of a path that leads to the front door. Beside the property is a brick paved driveway that provides a good amount of private off street parking and leads to the Garage which measures 19’9 x 9’10. This has an electric up and over door, power and lighting, a vaulted ceiling providing plenty of space for storage and a courtesy door opening in to the fully landscaped Rear Garden. This offers a good deal of seclusion, with a paved patio perfect for barbecues in the summer months leading on to an area of lawn with brick bordered raised beds. Within the Garden is a Shed and gated side access which opens on to the driveway. This property benefits from the remaining 5 years of the NHBC guarantee.